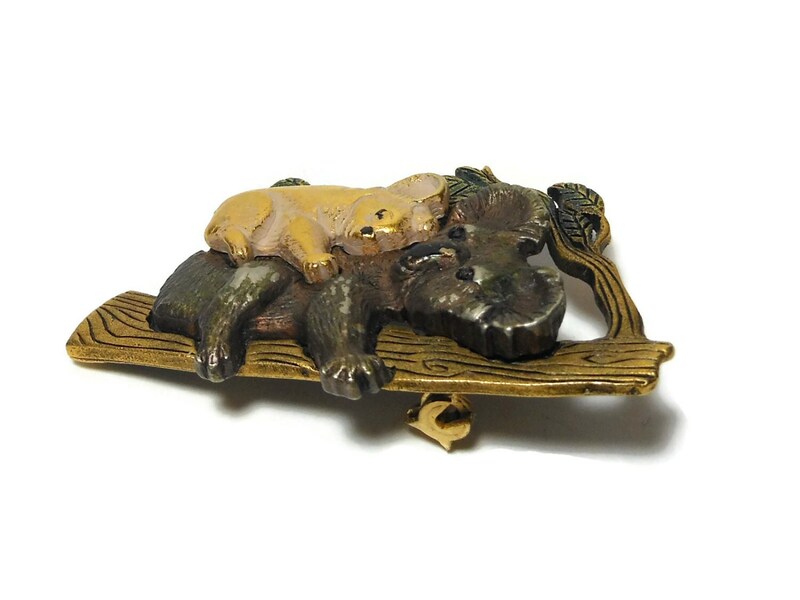 Kenneth Cole Koalas brooch, Mother koala and cub on log, antique finish, gold and bronze with light enameling, figural. 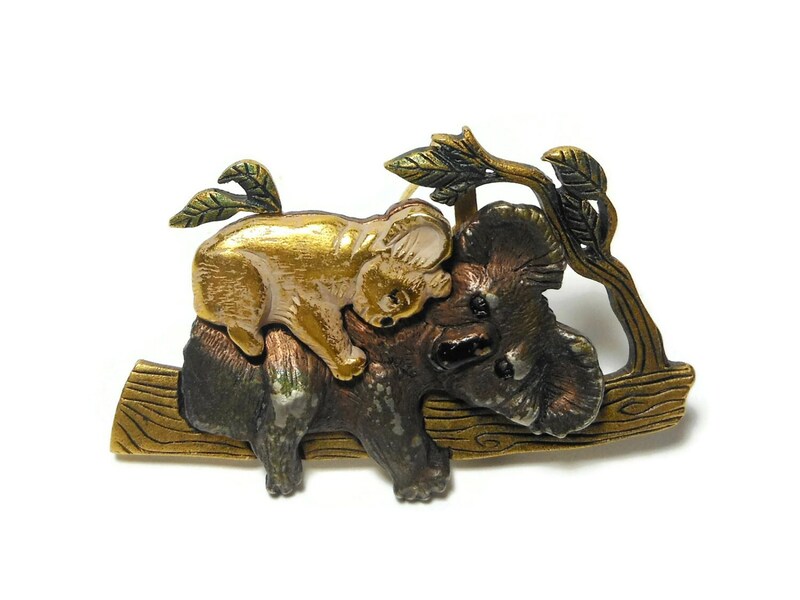 This is a great statement piece for anyone but especially those who love Australia, Koalas, or bears! The attention to detail here is marvelous with the green verdigris enameling on the leaves and the light pink on the baby. Signed K.C. 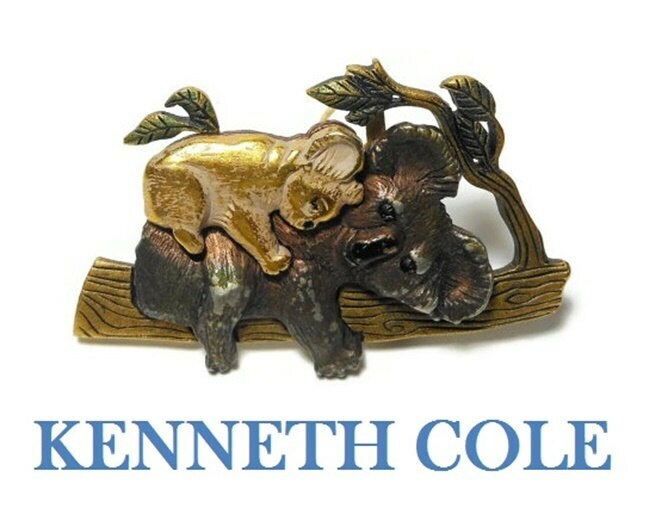 for Kenneth Cole. 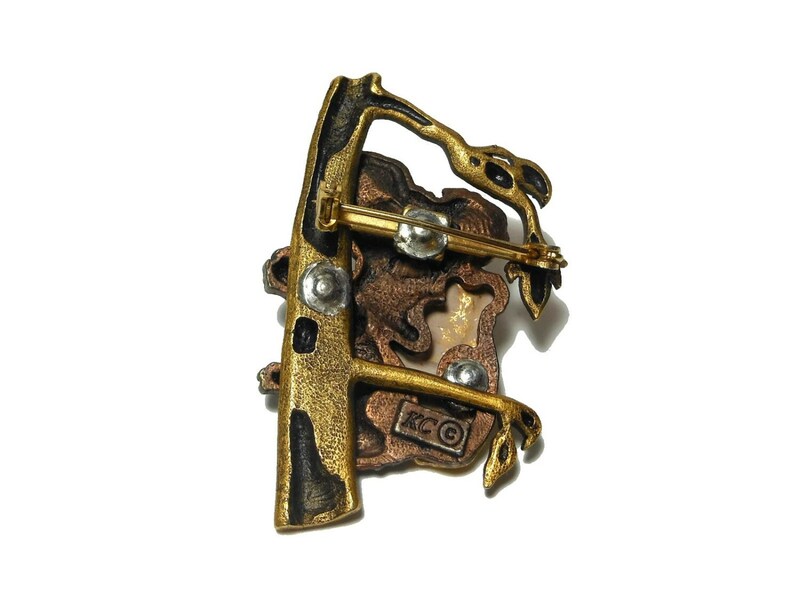 A perfect touch for any outfit, coat, hat or purse. It measures 2" (5.1 cm) X 1 1/4 " (3.2 cm) and is in very good vintage condition.